In Paolo Bacigalupi’s most recent science fiction novel, “The Water Knife,” Phoenix is dried up and California and Nevada are not too far behind. The millions of people who rely on the Colorado River to survive are not only thirsty, but fighting for their lives. As part of Arizona State University’s Imagination and Climate Futures Initiative, a partnership between the Walton Sustainability Solutions Initiatives, Virginia G. Piper Center for Creative Writing and Center for Science and the Imagination, Bacigalupi will visit ASU on Sept. 17, to share the inspiration behind “The Water Knife” and discuss how he uses creative writing to imagine the future of the Southwest. Bacigalupi follows award-winning author Margaret Atwood as the second guest lecturer for the initiative. Bacigalupi's visit will include a free public lecture titled "The Imagination Drought: Speculative Fiction as a Tool of Warning and Empowerment" at the Tempe Center for the Arts, and will feature a reception and book signing after the the writer's talk. Tickets for this lecture are available beginning Aug. 25. 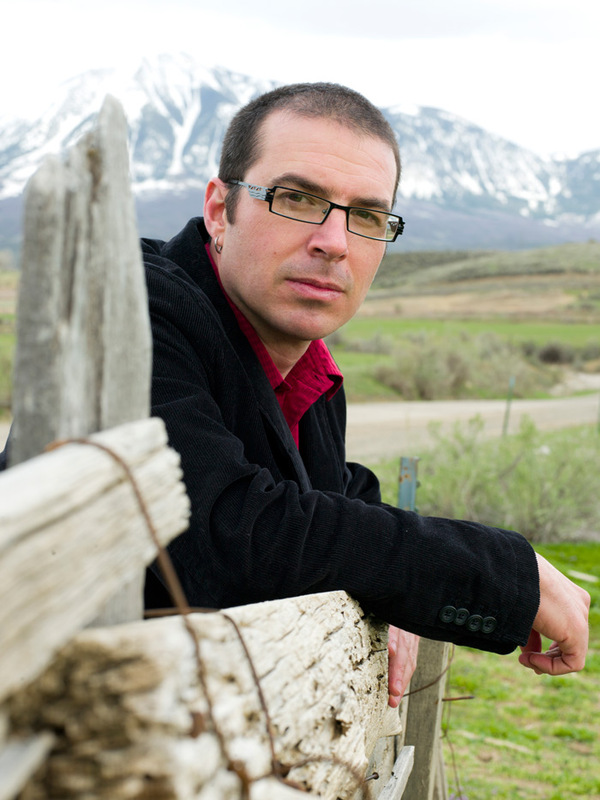 After being exposed to environmental issues as High Country News’ online editor, Bacigalupi has become a leader in the emerging climate-fiction genre. His first novel, “The Windup Girl,” explores a world where fossil fuels are depleted and big corporations bioengineer food and people. Bacigalupi’s second novel, a young-adult piece called “Ship Breaker,” tells the story of a young boy who strips stranded oil tankers for parts in the Gulf Coast. For more information and tickets, visit climateimagination.asu.edu/events. Houston native Joey Ramos-Mata is enraptured by journalism and has a goal of becoming a Supreme Court justice. He believes ASU's academics and reputation will help him reach his dreams. Incoming freshman Joey Ramos-Mata isn’t sure which lies ahead of him, but he is sure of one thing: He misses home. The journalism major who is also a student in Barrett, The Honors College was “definitely” nervous about moving so far from his native Houston to attend ASU. Ramos-Mata fell in love with journalism when he took a class in the subject his freshman year of high school. The following year he joined the student newspaper. Ramos-Mata writes short stories in his free time, as well as playing football and soccer with friends and fanatically watching movies. He has big plans for his time at ASU, with an eye looking toward both working at the State Press and joining student government. “My sister did that at community college, and it was exciting,” he said. Asked what he’d like to cover in the news business, he said he doesn’t plan to go into it. 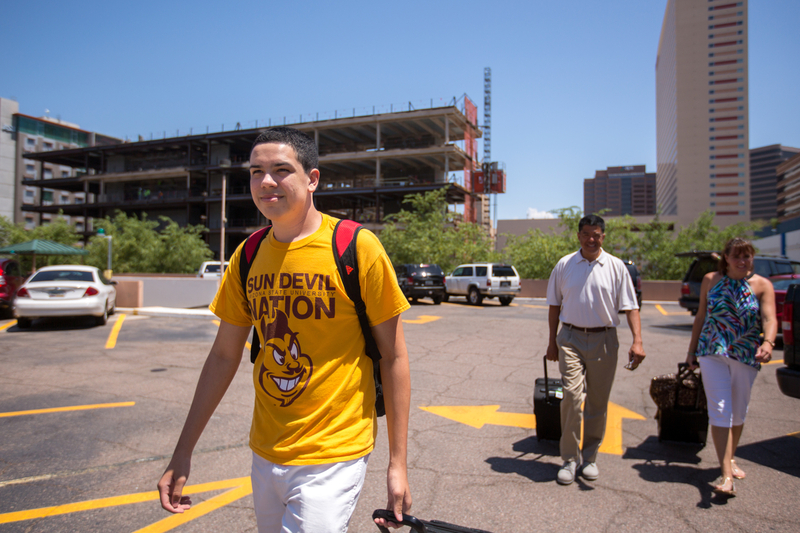 Ramos-Mata believes ASU has what it takes to get him to the corridors of power.